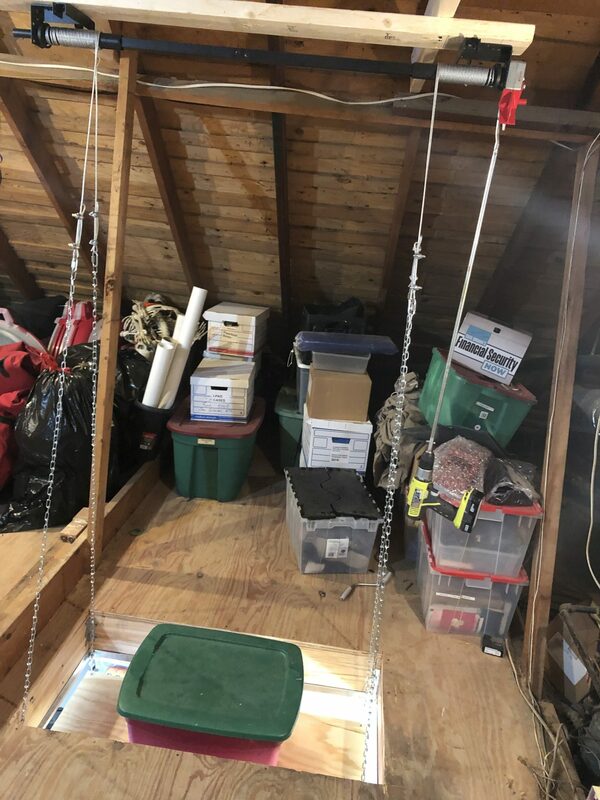 Attic Storage – Create your Own Self Storage – Why would you pay a self storage facility, on average, $290 per month for a 10×10 unit when you can create usable space in your attic for a fraction of the price. Plano Texas Handyman can convert an average attic space, approximately 200 square feet for about $1500. Converting attic space to storage provides value and home resale value. Plano Texas Handyman can create additional Attic Storage at a reasonable price. According to The Self Storage Association, there are roughly 49,000 storage facilities in the U.S. alone. Self storage has consistently been the fastest growing area of the commercial real estate industry, representing $22 billion in annual U.S. revenues in 2011. But why? Why are Americans so willing to saddle themselves with material albatrosses that sap their monthly income? Have we become such a nomadic and unsettled people that our consumerism can only keep up with our lifestyles through acres of augmented storage? I’ll leave that up to the social and cultural critics to decide. Attic Floor and Renovation, Attic Storage . The attic is a great place to store things that aren’t often used but you still want to keep. You know, things like those boxes of Christmas ornaments, your pool toys in winter and boxes of winter gear in summer. The attic is a great untapped storage place. Now, keep in mind that, unlike basements which are damp, attics tend to be very dry. And, this is a no-brainer, but even with lots of insulation, they tend to get warmer than the rest of the house. Attic Storage. There doesn’t appear to be any uniform approach to security measures across the self-storage industry. Some facilities are well-lit, some aren’t; some have attendants on-site, some don’t; some units have solid walls and metal doors, others are made of wire and plywood. For an industry that’s basking in the riches of a society on the move, why is there no self-governance, no rating system, Extra Storage Space Your Home.and no standardized security? Many folks don’t think about the contents of their unit as security against delinquent storage payments. But it only takes few episodes of “Storage Wars” to be set straight on that point. Unpaid storage fees are made up, in part, by auctioning off the contents of each unit. In many cases, the contents can be sold and renters are still liable for the remaining balance. If you’re storing family photos, heirlooms, or other memorabilia, is it worth the risk to potentially have your items held captive or sold to the highest bidder?